In a few weeks I will be heading to Darmstadt (near Frankfurt) for speaking at the SQL Konferenz 2015. This is my first time speaking at this event but from what I’ve heard from the previous y:ear this is a great event. A full day of great sessions by some of the best speakers in the European and international community. Check this line up for yourself. Continuous Integration with SQL Server Data Tools and TFS. In this session we are going to focus on the interaction between SSDT and TFS. 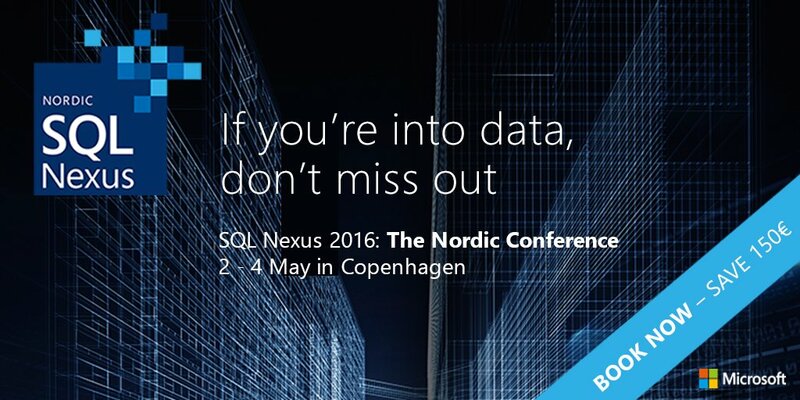 Developing locally and publishing the changes to an on-premises instance of SQL Server. We will look at how we can do continuous integration between development and other environments pushing the schema changes and upgrading the version numbers in a seamless manner upon successful build of the solution. I will have a look at several scenarios that require different level of customization of the Build process provided by Team Foundation Server. We will also have a look at how to automate unit testing and how to use TFS Online for the same purposes. I’ve been blogging extensively about the subject and will demonstrate some of the findings I have in my blog during the session. See you in Darmstadt !! Thanks for the fix Karen it is now corrected. The sqlkonferenz website doesn’t mention you either.